Monsoon has officially arrived in Mumbai. Residents in the city are hassled, but happy that the rains have arrived. This morning, Mumbai was hit by heavy rain, flooding low lying areas and disrupting local trains and flights. But residents could be seen out on walks, jogging, and going to work. Residents make their way through a water-logged street in Mumbai's Sion. People in Mumbai are hassled, but happy. 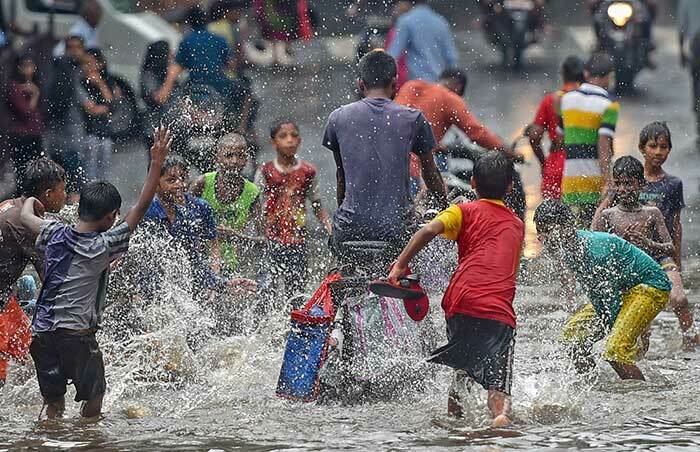 Children could be seen playing in the rain as Monsoon brings respite from the summer heat. 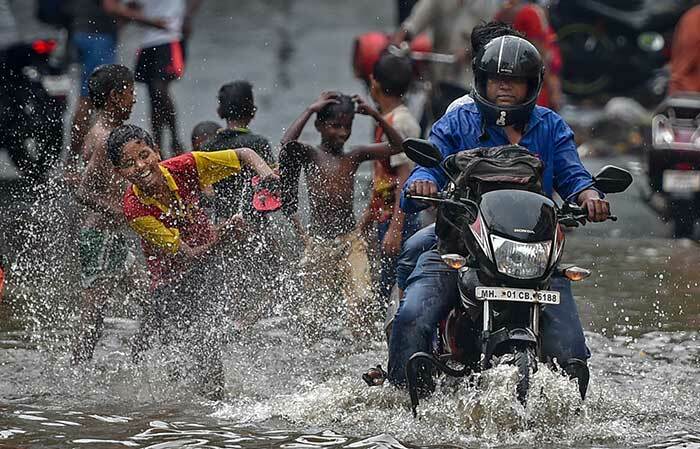 People in Mumbai may well be hassled with flooding, but that sure doesn't seem to dampen their mood. 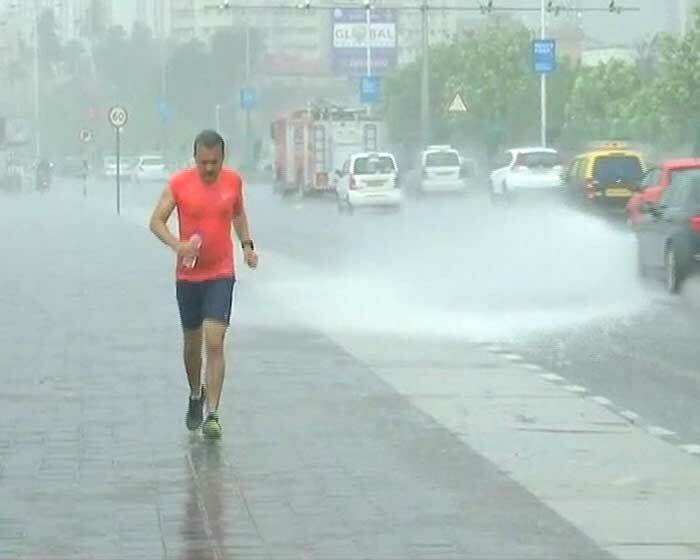 It is said that "life should not be about waiting for the storm to pass, it should be about learning how to dance in the rain", something that most Mumbaikars (residents of Mumbai) live by. 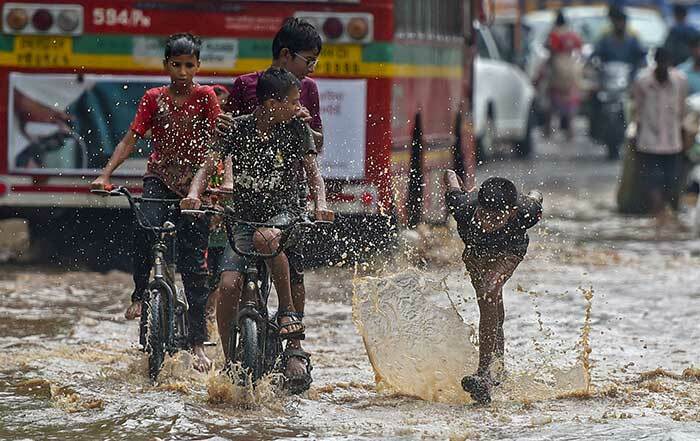 Seen here, children playing in the rain despite the streets being flooded in their locality. 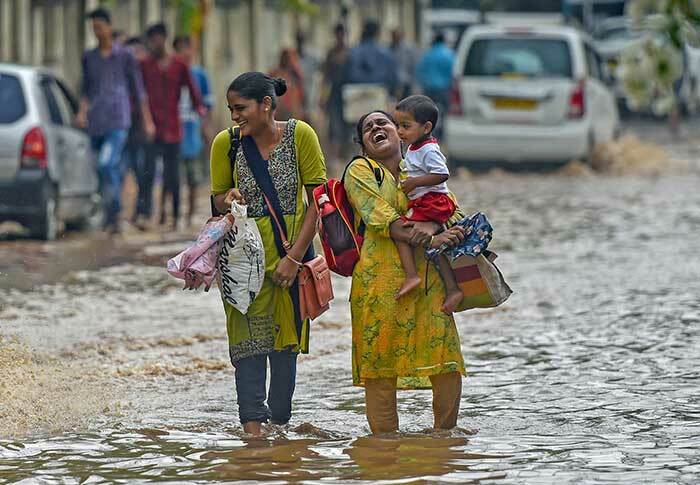 With a smile on their face, residents in Mumbai's Sion cross a flooded street. 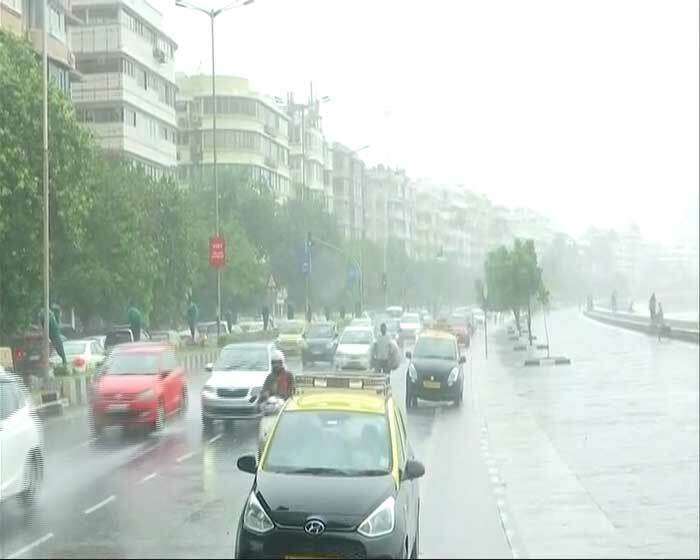 Each year with the arrival of the Monsoon, Mumbai receives very heavy rainfall. This results in flooding. Public transport is affected too. But people in Mumbai are spirited. Their energy, enthusiasm, and determination is an inspiration to all. 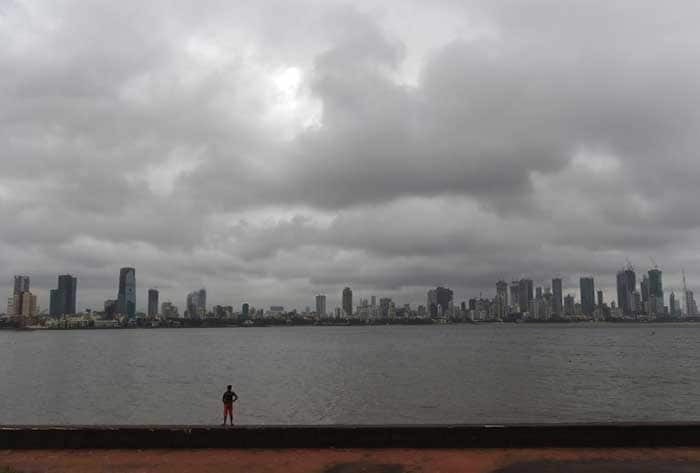 Clouds gather over 'maximum city' Mumbai ahead of the Monsoon. The weather forecast for Mumbai this year says the city will get rain aplenty. 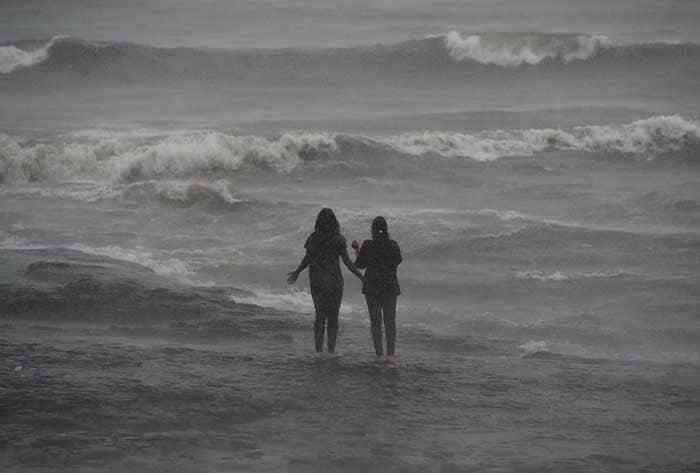 Women stand along the sea front in Mumbai during Monsoon rain. The rains bring cheer and joy to people across the country, some go out to enjoy the rain. But this year, the MeT department has predicted a normal Monsoon, with abundant rain. It has cautioned people not to venture out at sea or walk too close to the sea on beaches. The sea can be choppy and rough, posing a danger to anyone who isn't at a safe distance. 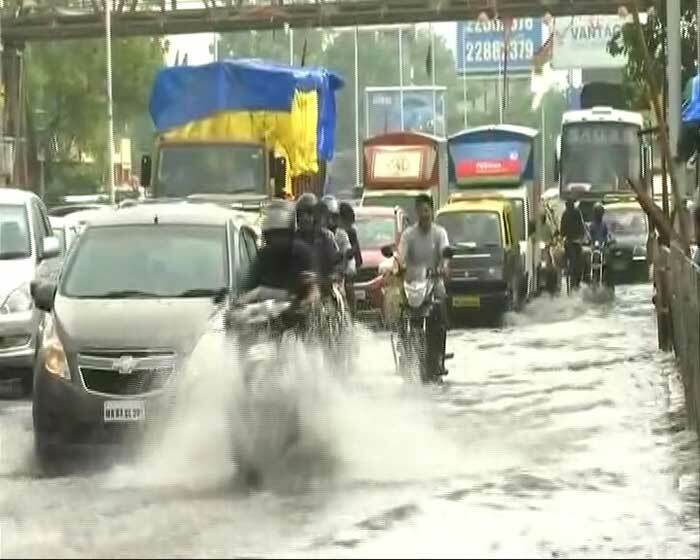 While the rain brings joy and cheer to the residents of Mumbai, it also brings with itself the inconvenience residents face because of water-logging. 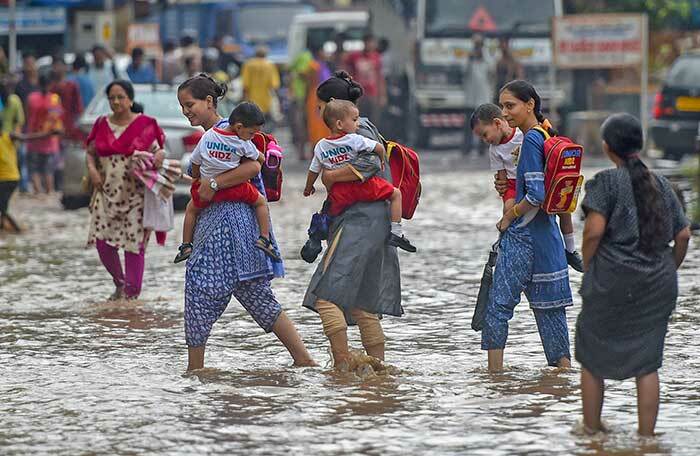 Because of its densely populated areas, Mumbai faces problems of flooding each year with the arrival of the Monsoon. Seen here, an office-goer trying to make his way through water-logged streets. 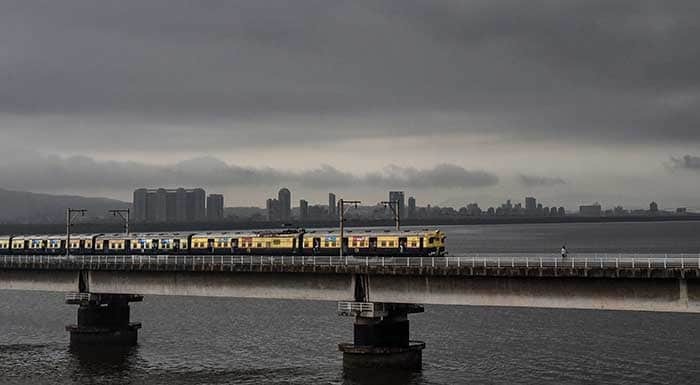 Mumbai was hit by heavy rain this morning as Monsoon arrived, inundating low lying areas and disrupting local trains and flights. Office-goers were hassled too with flooding in most areas. 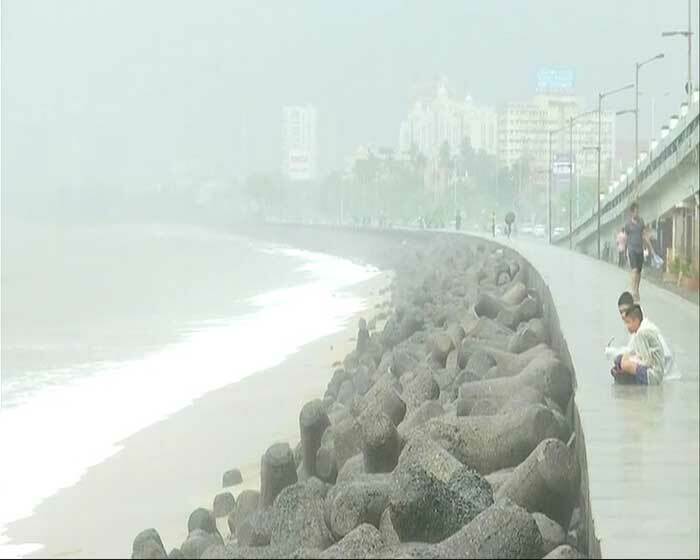 Residents in Mumbai seen enjoying the rain at the sea front. Heavy rain has also been forecast in coastal Karnataka, Goa and south Maharashtra. In neighbouring Goa, red flags have been put up at beaches to warn people about the dangers of wading in or swimming in the sea during rain.